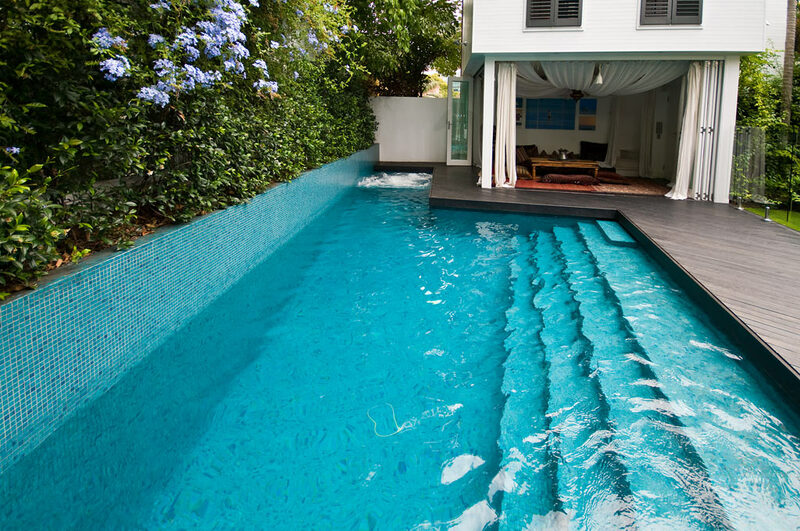 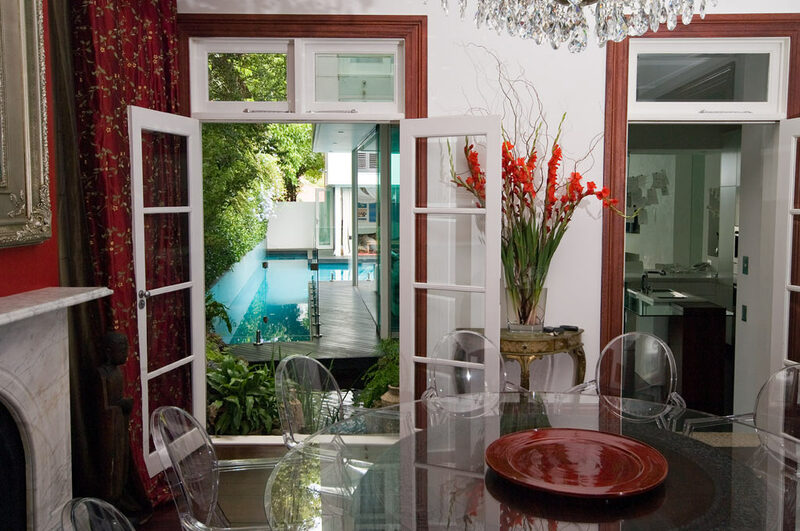 This magnificent wrap around lap pool was designed to be the centre of attention in this newly renovated terrace in Paddington. 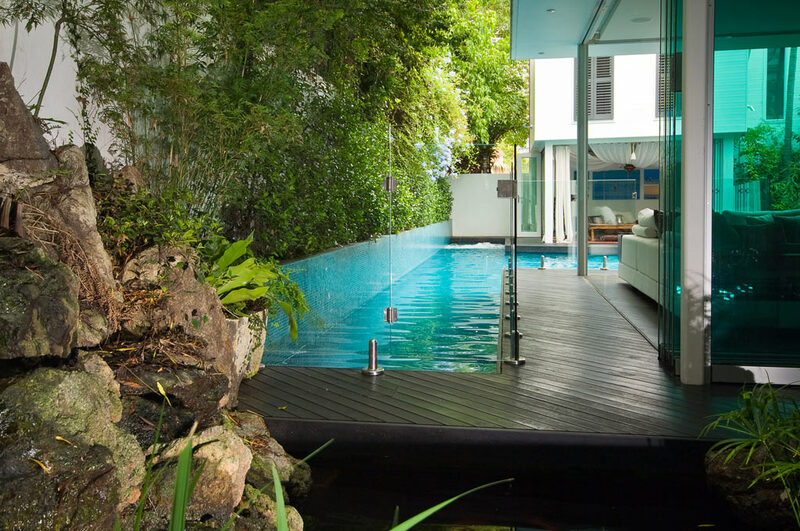 The pool features a full-length up stand wall which helps to visually increase the width of the pool and courtyard space. 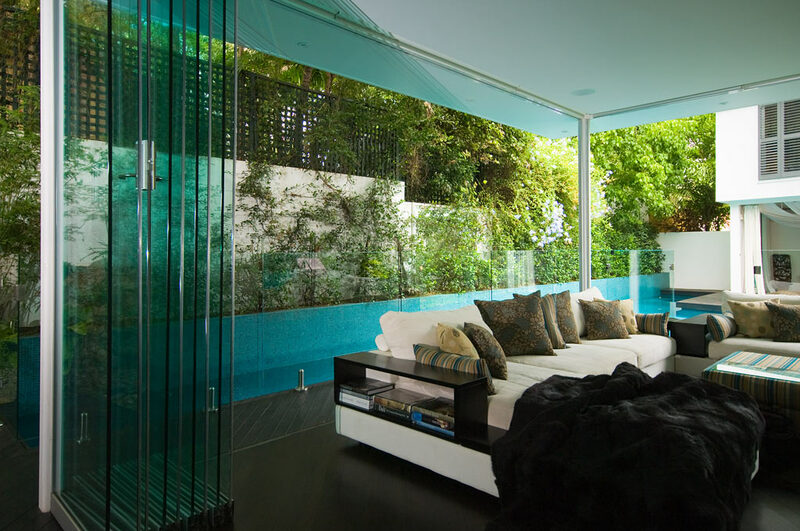 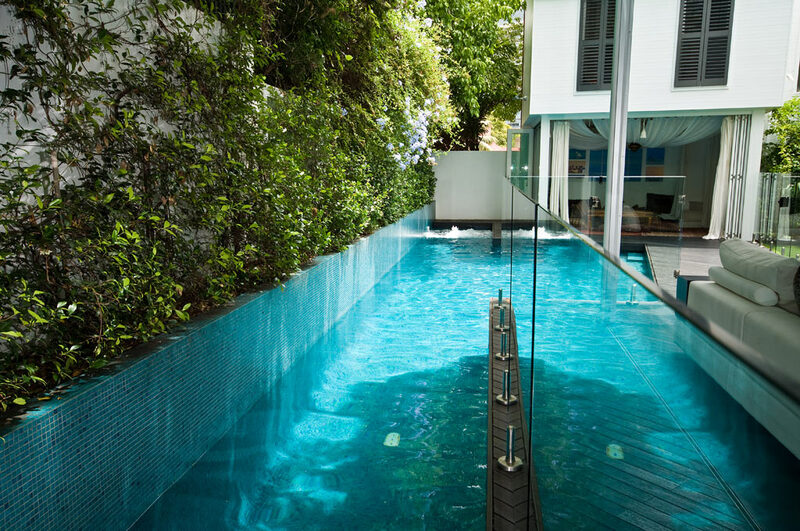 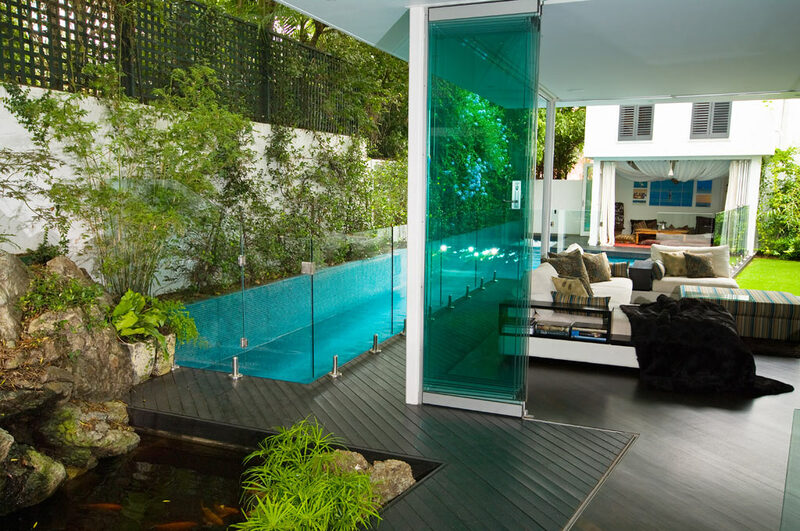 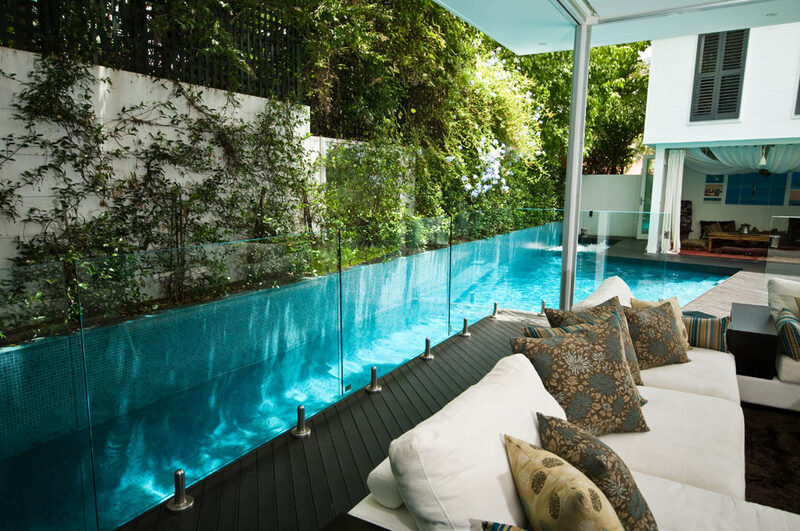 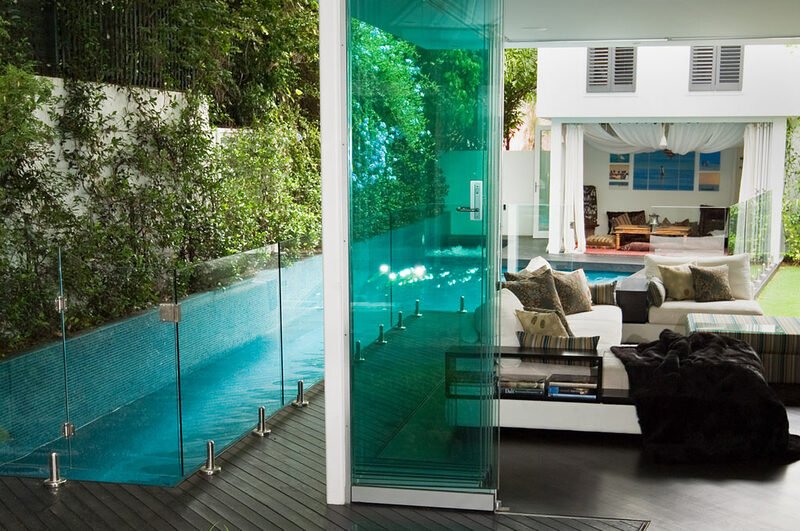 However the secret of the success of this beautiful contemporary pool is the use of the frame-less glass fencing separating wet and dry areas. 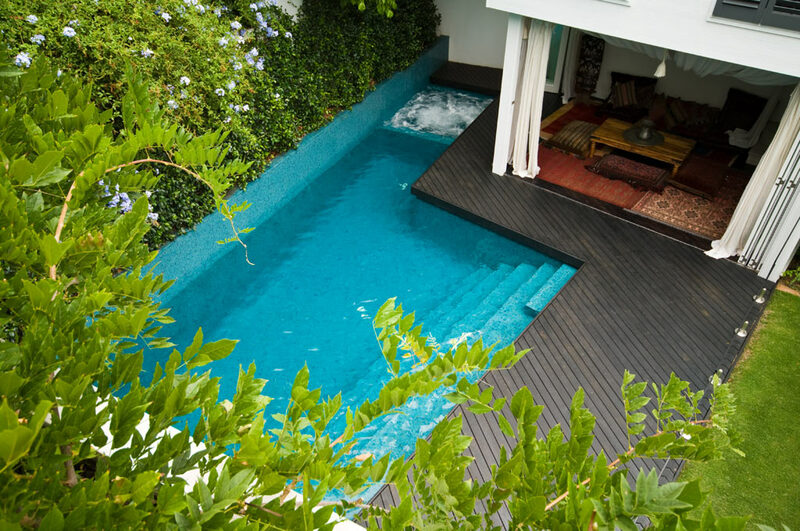 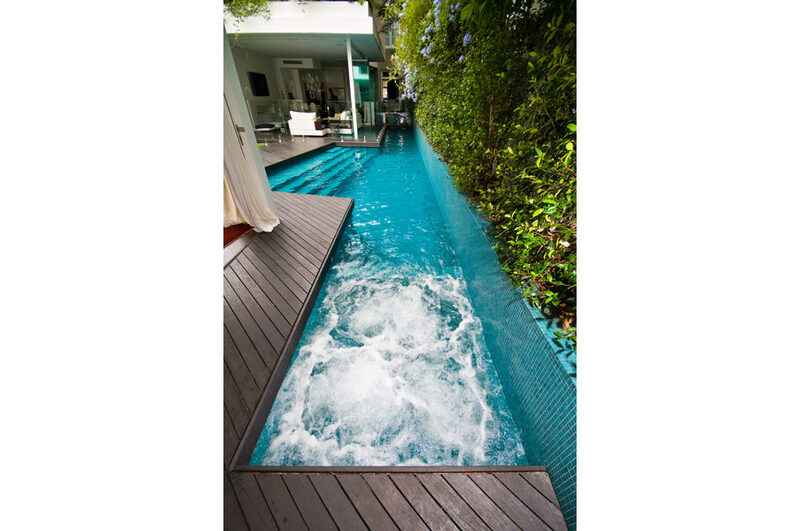 Pool construction was not straight forward with access limited to the front door and side windows. 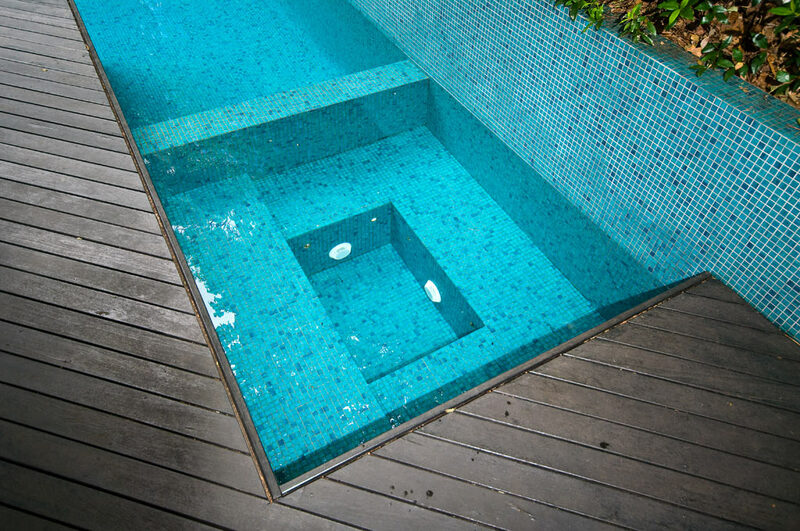 Maintenance has been minimised and the water colour guaranteed by finishing the pool and spa in a 20mm Glass Mosaic tile.